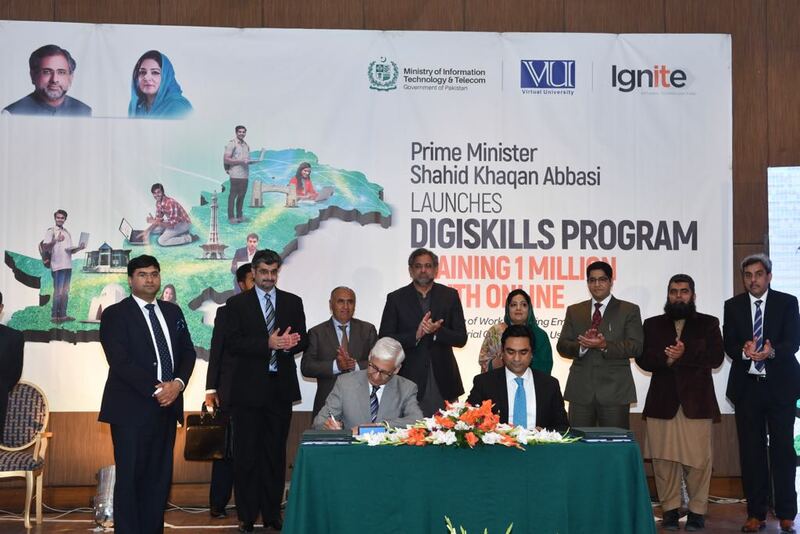 Telenor Pakistan and Pakistan Telecommunication Company Limited (PTCL) on Thursday signed separate Memorandum of Understanding (MoU) with Virtual University of Pakistan to provide broadband and internet services at reduced costs to those getting enrolled under the DigiSkills program. Meanwhile, Ignite signed another MoU with Akhuwat Foundation, under which the latter would provide Rs 100,000 interest free loans for purchase of laptops and mobiles to benefit participants of the DigiSkills program. The MoUs were signed in the presence of Prime Minister Shahid Khaqan Abbasi and State Minister for Information Technology and Telecommunication, Anusha Rehman. Irfan Wahab Khan, Chief Executive Officer (CEO) Telenor Pakistan said that Telenor may provide content, material, literature at zero cost to those who get enrollment in the DigiSkills program. Irfan hoped the program will help the young generation in getting job opportunities. President and CEO PTCL, Dr. Daniel Ritz, said that PTCL always strives hard to contribute and bring Pakistan on par with the rest of the world by launching innovative and enterprising initiatives. “Taking another step forward, PTCL has joined hands with Virtual University to train 1 million Pakistanis across the world through its broadband footprint and cloud infrastructure (IAAS) representing all walks of life”, he added. 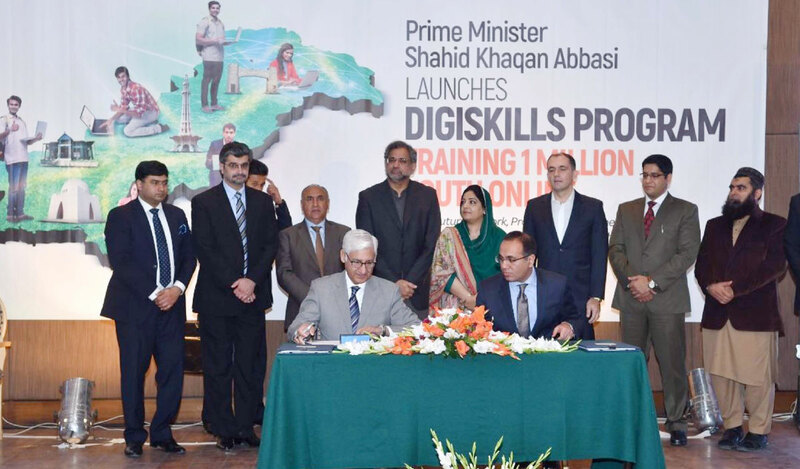 Anusha Rehman said the DigiSkills program is an important initiative which could create online employment opportunities to enable youth to earn 200 to 300 dollars per month. This amount could be raised to 1000 dollars per month if IT is being adopted. The minister further said that Pakistan is ranked 4th on global freelance market and claimed this program would bring the country to the top. DigiSkills program is said to be the brain-child of Anusha Rehman, who has tasked Yousaf Hussain, CEO of Ignite, to execute the program in best possible manner. The minister said that compared to initial estimated expenditure of Rs 50,000 per student, it would cost Rs 800 per student after rationalizing the program. The minister said that other countries like UAE have also started to replicate this program. The event was attended, among others, by CEO Ignite Yusuf Hussain and Rector Virtual University Naveed Malik and representatives of different IT companies. Please Note: DigiSkills Program is just announced and no details are yet available on how to be part of this program. We will update with details as soon as they will be available to us. For reference, DigiSkills is set to go live by May 2018.